If you're shooting at night and getting blurry footage from your GoPro 7, go into the settings and make sure you have automatic low light detection turned off. This decreases the frame rate to allow more light in, but as a result it will introduce blur and make the footage look jerky if there's any movement. Thanks, that’s a handy little tip. Note: the low light mode is only available when shooting at 60fps or higher. And if turned on, the GoPro only reduces the frame rate to 24fps or 30fps, nothing less. Which is still frustrating because on the GoPro 6 I always shot in 4k 30fps and had no problem with the blurry effect in low light conditions. 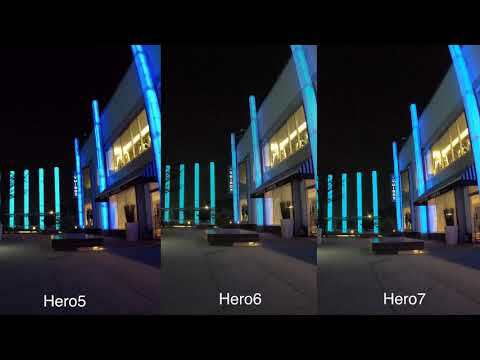 So it seems silly that the GoPro 7 needs to be used at 60fps in low light conditions to avoid the blurry effect. Andregixxer...what was the point in that video you posted? The camera is static...try moving the camera about and see the quality lol. Shooting with the camera steady and shooting action shots are two completely different things.